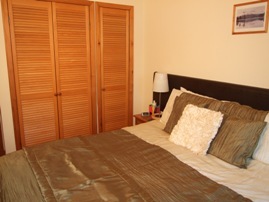 A Spacious Double / Twin room with spectacular morning views to the hills of Cromdale. 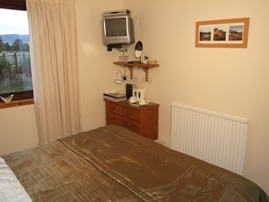 Facilities within the room: Full Central heating, SKY Freesat / TV/DVD Combo Player, 2.4Ghz Wireless Broadband connection, Hairdryer, Tea and Coffee amenities. Cromdale has a separate private bathroom facilities: Jacuzzi bath, Dual shower / Steam cabinet, WC, Wash hand basin, Shaver point. The Dual Shower Steam Cabinet is complete with individual body jets, a fixed overhead rainforest shower head a hand held shower with separate temperature control. On the floor the cabin there is a foot massage unit with adjustable twin spray jets. An Aromatherapy steam unit with regulating time and temperature settings. There is also an inbuilt radio and CD player input connected to your TV/CD Player within your room.